What difference does Place2Be make in schools? 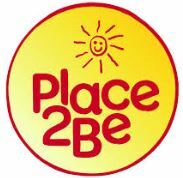 Place2Be is a national charity working in over 282 UK schools to improve the confidence and emotional wellbeing of pupils aged 4-14. We help young people develop resilience by supporting them when they are experiencing challenging life issues and helping them to develop self-confidence and lifelong coping skills. When they are supported in this way, they are able to learn more easily and that means less worry for parents. How we help pupils All pupils in years 7, 8 and 9 can find help with friendship issues and other daily worries by choosing to visit Place2Talk. These short lunch and break time sessions are open to individuals and to groups. Place2Be also works with pupils one-to-one and in small groups, offering regular time-tabled support for those who will benefit most. The school SENCO (Special Educational Needs Coordinator) and pastoral teams will often refer pupils for this service. How we help families We routinely meet with parents to discuss any concerns they may have about their children. Place2Be also run A Place for Parents, offering adults counselling support for any issues they may have. How we help teachers and school staff Through its Place2Think service, Place2Be also supports teachers and school staff members to think through the emotional needs of pupils. School staff can consult our trained counsellors on specific issues and discuss solutions to creating better relationships with their students and promoting emotional health and wellbeing across the school. How Place2Be works The school has a dedicated Place2Be room where students can meet with a counsellor and talk about the challenges they are experiencing. As well as offering therapeutic support through talking and creative work, counsellors help young people to develop lifelong coping skills, increasing their self-confidence and enhancing their wellbeing and resilience. This helps them to engage productively in their own learning and develop positive relationships. Times when we’re especially useful There are times when young people feel particularly sad, confused, anxious or angry, due to family issues at home, or relationships with peers (both in person and online), and pressures at school. Some may become withdrawn; others may become demanding or challenging in their behaviour: that’s when having Place2Be in school is especially helpful. Who is eligible for Place2Be? Any student requiring emotional support for any reason. Any questions? You are welcome to talk to your Place2Be School Project Manager; either face-to-face or via telephone or email. At South Shore Academy our School Project Manager is Angela Preston who works on Wednesday, Thursdays and Fridays. You can contact her via telephone on 01253 336500 or via email on Angela.Preston@place2be.org.uk.